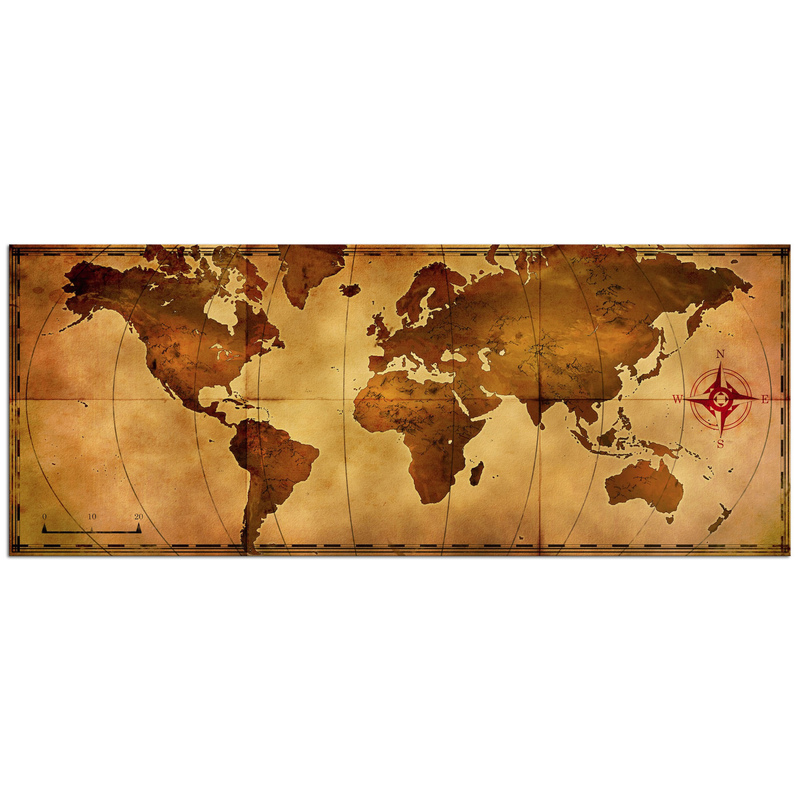 Our 'Old World Map' piece is an aged, antiqued style representation of a world map, applied as a fine art giclee on metal. The tea stain browns and tans along with the faux crease lines in the image represent the romantic idea of an old treasure map hanging by the threads after years and years of adventure. Once glance at this piece will resurrect the overwhelming desire that so may of us have had to sail the world exploring, treasure-hunting, and discovering new lands. The historic theme and earthy colors make this map artwork an excellent choice for an intellectual setting like a library or study, or to encourage the young minds of a modern child's bedroom. 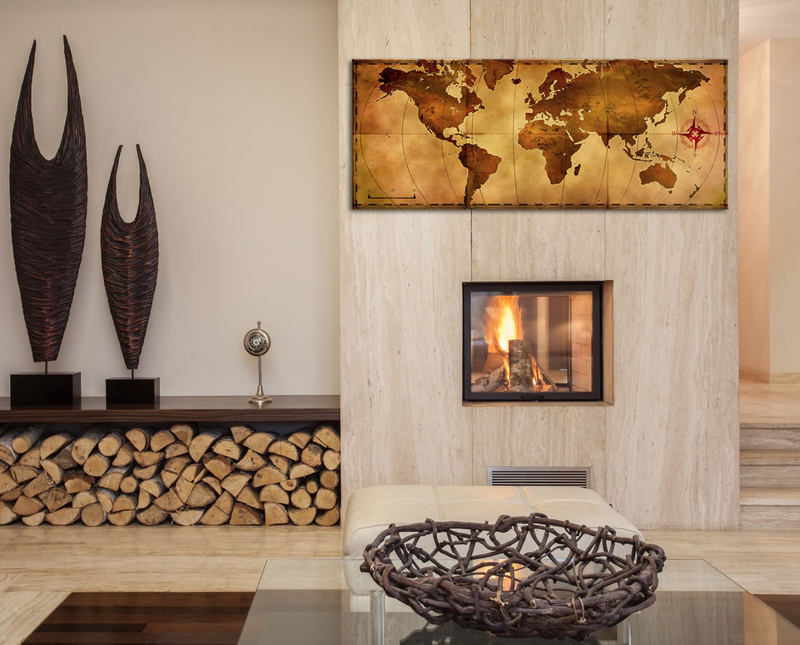 The comfortable color palette allows the 'Old World Map' to couple nicely with leather furniture and wooden Decor. Truly a universally-appreciated wall art piece that is exceptionally versatile and will elevate the Decor of a world-traveler, jet-setter, adventurist, hobbiest or anyone who appreciates the fusion between a traditional subject and a modern art application.